This small sterling silver Celtic cross necklace features an embossed knot-work motif along with an emerald green glass stone in the center. The Celtic cross pendant measures 3/8” wide x 3/4” tall, including the jump ring and the chain bail, and it includes an 18” long sterling silver box chain. 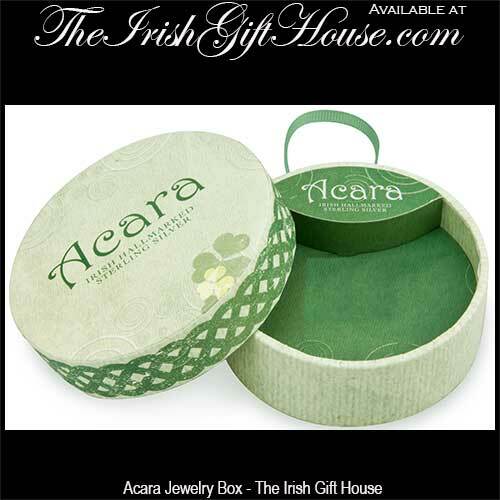 The Irish necklace is gift boxed with Celtic cross and Celtic knot history cards, complements of The Irish Gift House. 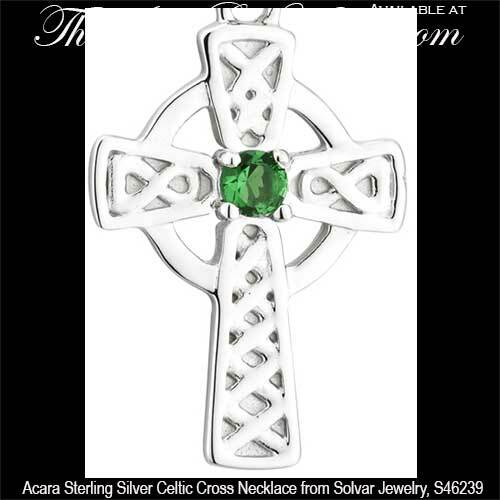 This sterling silver Celtic cross is part of the Acara Collection, from Solvar Jewelry and it is made in Dublin, Ireland. 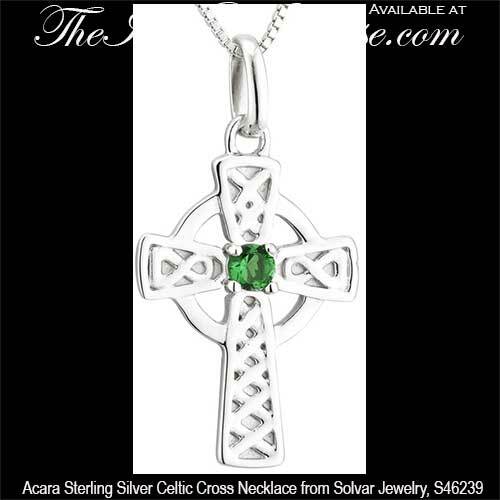 Celtic cross is a small sterling silver necklace that features the Irish Claddagh symbol in the center.